Having a clean work area means much more than a sparkling, fresh building. Plenty of studies have shown that employees working in a clean and orderly office are positively impacted, which improves their productivity significantly. 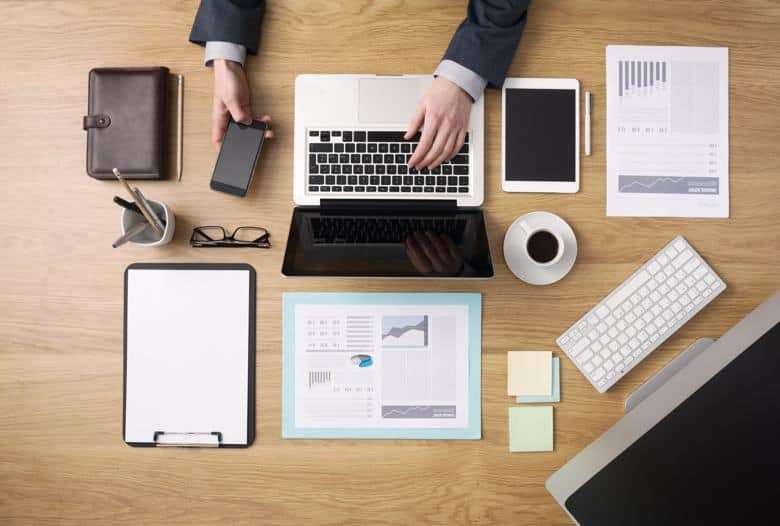 Keeping your work area neat and orderly matters a lot: studies have reaffirmed the fact that if your place of work is cluttered, information-processing becomes difficult, let alone focusing on priorities, tasks, and projects. Other than reduction in productivity, an office that is messy will also negatively impact your emotional, professional, and psychological well-being: however, the silver lining is that clean-up of your workspace is a low-cost, high-impact activity that has perceptible and immediate benefits for both the workers and the business owners alike. A major cleaning challenge of a workplace is the paper clutter, simply because documents can easily get displaced. This causes immense stress in a situation when your superiors in the office or the clients are waiting for you to furnish the required documents. Equally stressful is not having a clue regarding what to do with client files, reports, memos, or other documents, for which a company eventually has to invest money just for storing multiple copies of same documents. A remedy to this problem can be setting up guidelines to determine what needs to be kept and what should be tossed out. De-cluttering is an important part of cleaning up. Once you get rid of things that you aren’t using, it frees up time for you to concentrate on important office tasks. Also, you can get more work done in much lesser time in a tidy office. Therefore, you can rejoice in a feeling of accomplishment when the day ends and head for home on time for your personal needs, like being with your family, relaxing, or even exercising. When your clients, prospective employees, visitors, vendors and colleagues visit your office, they are likely to form an opinion about you and your office at first sight. If your workplace is messy and cluttered, it won’t inspire a confidence in them regarding your professionalism or in your ability to manage finer details. If you approach office cleaning as a team event, it could turn into an opportunity for bonding among your employees and may also result in improved relationships within your team. This would lift the employee morale and in turn, your office will get transformed into a cleaner, happier, healthier and safer workplace: a win-win situation, isn’t it?